Please note that the race has a cut-off time of 2H45. Please accept this entry for the River Thames Half Marathon. I will be at least 17 years of age on race day and I confirm that I am medically fit to compete. I also declare that I have no medical disabilities that will endanger me or others participating in the event. I accept that I enter at my own risk and that the organisers and sponsors will in no way be held responsible for any personal injury, or loss or damage to property before, during or after the event. I understand and accept that the organisers reserve the right to cancel the race if adverse weather should make conditions too dangerous for competitors, or a serious incident occurs that prevents the race going ahead. In this event, there will be NO REFUNDS. I also accept that if I am entering this race on behalf of another person, I am authorised by them to accept these Terms and Conditions on their behalf. I will also take the responsibility to ensure that they are aware of any further information provided about this race e.g. confirmation and race information emails. 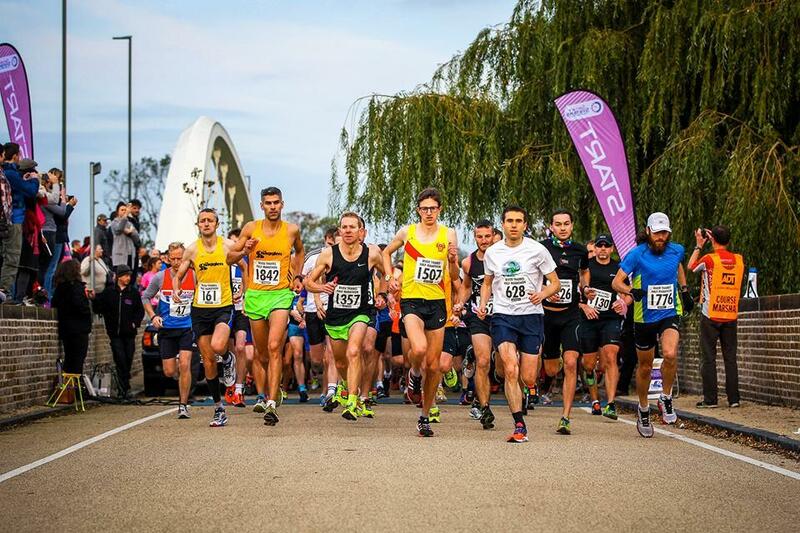 Please note that the race will be run under UKA Rules (Licence number: TBA ) and the course has been measured and certified as accurate by an accredited course measurer. I also confirm that if I am under 18 years of age on race day, I have the permission of my parent or guardian to take part in this race and I have included their contact details below. The personal information gathered by Sport Systems when you place your order will be used for administering the event such as contacting you by phone or email to check details or correct a typo in an address. The users of this could be Sport Systems, the race organisers, or any appointed third party, such as an official photographer, or a different race timer. Certain details such as your name, event category and running club, but not contact data, may appear on various results websites, results emails, text messages and could even appear in newspapers. We would also like to keep you informed about future editions of this event and also others with which Sport Systems are involved but you need give us permission (opt in) to do this to. Please answer the following two questions one on behalf of this event and the other on behalf of Sport Systems. (If you are answering on behalf of another person please check they are willing for you to do so). The River Thames Half Marathon is raising funds for Home-Start Elmbridge, an independently run family support charity. They work with children, young people and parents who are experiencing a wide range of disadvantages such as poor mental or physical health, physical or learning disabilities. * I am a UK taxpayer and understand that if I pay less Income Tax and/or Capital Gains Tax in the current tax year than the amount of Gift Aid claimed on all my donations it is my responsibility to pay any difference. It looks like you might have entered your email address incorrectly. Please check.